I use bit.ly quite a bit as a URL shortener. It’s nice and easy, plugs in via API to a few other apps I use (Twitter plugin for WordPress, etc.) and it provides nice analytics on links. 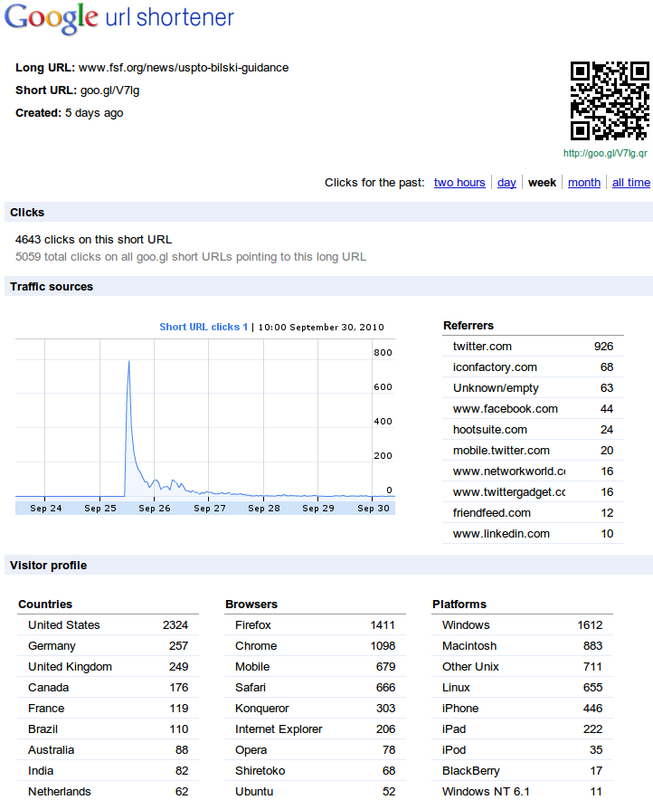 This week, Google opened up their URL shortener, goo.gl, to people to be able to make their own links. Once logged in with your Google account, you can start creating links. It’s interesting that they give you a QR code for each short url you create. This is built using Google Charts and what’s interesting is you can call an image for any link you’ve shortened at Goo.gl by adding .qr to the URL.